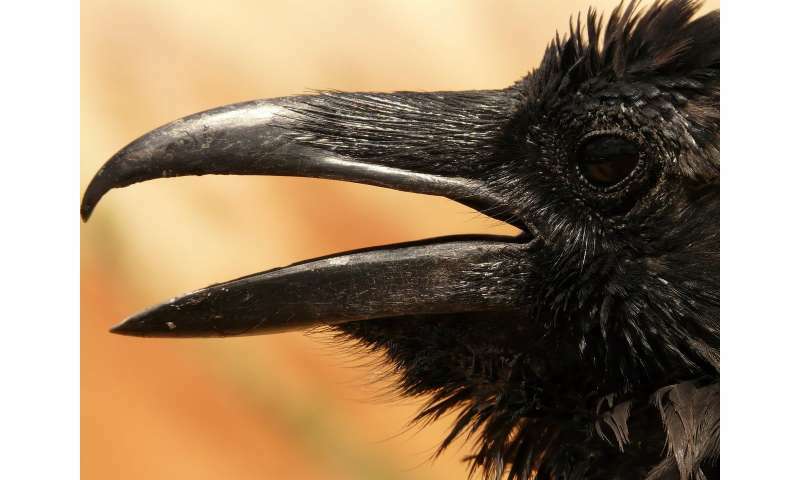 Researchers have previously suggested that ravens can plan better than four-year-old children. The new study "What can associative learning do for planning?" rejects the idea that ravens and great apes have human-like planning capacities. "Animals can make decisions that lack immediate benefits but that instead may lead to something meaningful in the future. Some researchers have suggested that planning in great apes and ravens develops through thinking, that they simulate future scenarios and make decisions based on such mental simulations. My study shows that planning behaviours and self-control in non-human animals instead can emerge through associative learning," says Johan Lind, associate professor in Ethology, at Centre for Cultural Evolution, Stockholm University, author of the study. The computer simulations showed that the learning model, that is unable to think or simulate future scenarios, was able to learn to plan as well as the animals did in the experiments. This model is also capable of learning self-control. It can learn to ignore small immediate food rewards to instead choose, for example, a tool that can only be used after a long delay. But after the long delay the tool can be used to get a large food reward. "We know today that similar learning models within artificial intelligence research can learn to play board games and beat human players. However, these kinds of learning models are often ignored in the study of animal cognition. Animals are often very efficient in learning from their experiences, and this helps them survive in places that often are hostile and competitive," says Lind. Oh please, computer simulations don't tell us anything about ravens. They tell us about computer simulations. How do you prove, beyond a reasonable doubt, that your simulation is in any way related to what is happening in an organic brain? It is simply not possible. Thus the conclusion is bunk. A model of the very stable genius and his followers can show that they too plan without minimum thoughts. That is why the ecological disaster is not important, because there is no thinking, only anger and greed. This article is a perfect example of several pop-science themes.. First the ad dollar value of clickbait headlines. Then a combination of translating from another language into what passes today for English. Plus that the word choices do not match the intent of the originating researchers or the expectations of the laymen trying to interpret this kludged up verbalization. For a subject this complex. That automatically triggers your emotional prejudices? Go to the bottom of the article & click thru to the original source material. Lacking the capacity to understand modeling & simulation programs? Is your problem. Not a failure of the researchers using the computer tools. Go whine to Leonardo da Vinci for inventing these methods that developed modern technology. &, who knows? You might even learn something? Even if it is only a number of colorful, dialectal-Italian swear words, curses, imprecations & maledictions. A true Liberal Arts education. I think its more of serendipity. Maybe several avenues are open and waiting brings a more beneficial one. - The current successful deep learning architecture is hardware opportunistic. The vertebrate brain is not, a cortex has less layers IIRC. - There is no reason to suspect that the human or our ancestor's brains work differently, how and why would that evolve? The main difference is that we experience that we self interrogate; but we also know that this experience lags "planning" with up to 7 seconds! So naively we also "plan without thinking" - whatever that headline means beyond the click bait . and we have learned to post-construct what we "thought (planned)" to seem reasonable to ourselves.